S. Ravindra Bhat, J. 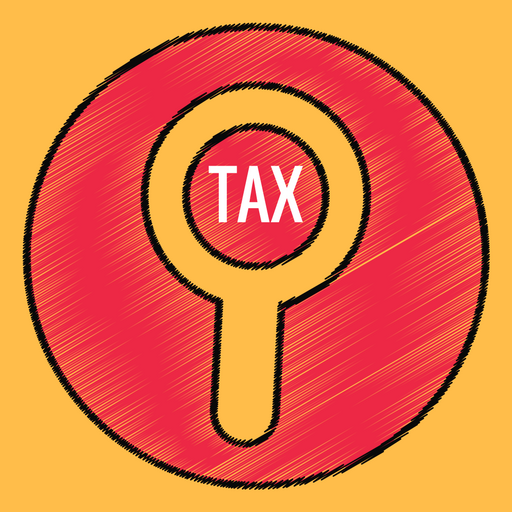 – This appeal under Section 260A of the Income Tax Act, 1961 (“the Act”), is preferred by the revenue, against an order dated 20.11.2008 of the Income Tax Appellate Tribunal (“ITAT”) whereby the DIT (Exemption) was directed to grant registration to the assessee under Section 12A of the Act. The ITAT held that Section 24 (iv) of the Delhi Sikh Gurudwara Act, 1971 empowered the Delhi Sikh Gurudwara Management Committee (“the Committee”) to constitute a trust for effecting one of its aims and objectives, i.e. provision of medical treatment. 3. Clause 8 states that the aims and objects of the trust are to do welfare activities for the benefit of public at large, and more specifically for economically poorer sections of the society, physically challenged persons, persons suffering from any type of physical or mental ailments, old age persons, economically poor students or children in particular, without any profit motive. Further, Clause 35 declares that none of the trust fund or property or its income shall be applied for any other purpose which is not consistent with the aims and objects of the Trust and the provisions of the deed shall be construed accordingly. The Trust, after its constitution, entered into a collaboration agreement with Manipal Health Systems Pvt. Ltd., in terms of which the hospital was to be run by the latter, with a certain part of the revenue paid to the Trust. (xi) to establish educational institutions, research centres and libraries. 5. The Trust carried the matter in appeal to the Income Tax Appellate Tribunal, which reversed the decision, and held that the Committee did have such powers under sub-clause (iv) of Section 24. The Revenue impugns this decision of the ITAT in the present proceedings, arguing that the powers outlined in Section 24 are specific and exhaustive, such that the creation of a trust and transfer of property are not contemplated to lie within the powers of the Committee, which – as a creation of statute –cannot exceed the permissible limits. 6. Learned counsel for the Revenue has drawn the attention of the Court to CS 252/2012 in the Patiala House Court, by which this very issue – concerning the legality of the Trust – was agitated and decided by a Civil Judge, holding that the establishment of the trust was illegal and contrary to law. There is no dispute today that if the creation of the Trust is held to be illegal, no exemption can be granted under Section 12A. The dispute between the parties before the ITAT concerned the question of its legality vis-à-vis the powers of the Committee under Section 24. Given this development, i.e. the issue concerning the legality of the Trust having been deciding in a civil proceeding instituted for that purpose, and a judgment in rem having been delivered, this Court is of the opinion that the matter, as regards the present proceedings, stands decided, subject to any further appellate interference with the decision of the Civil Judge. There is no mandate to question or re-appreciate the decision of the Civil Judge in the present proceedings under the limited domain of the appeal under the Income Tax Act, 1961. 7. Furthermore, even on an independent consideration of the facts in this case, it is evident that the Committee is a creation of the statute; its functions – in the nature of obligations, or duties, are outlined in Section 24 of the Act. The reliance placed by ITAT on Section 24 (iv) of the Act, in this court’s opinion, is misplaced. That empowers the Committee to do all incidental acts and things necessary to carry out the duties of the Committee itself under section 24 (ix) one of the duties of such committee is to establish and manage “free clinics”; Section 24 (xi) enables the maintenance of “research centres”. Neither Section 24 nor Section 40 (which empowers the Committee to frame regulations) enables the Committee to efface their duties and create other entities for carrying out their functions. Even more importantly, such creations cannot do what Committees are not permitted to perform, i.e utilize Committees’ properties or monies through the device of trusts and societies, to engage in indirect commercial activity, – which the trust was authorized and created to indulge in the present case. As a consequence, the ITAT clearly fell into error in holding that the Act permitted the Committee to enter into the agreement which enabled it to set up a joint venture for a hospital, on revenue sharing basis. Clearly such trust was ultra vires the Committee’s powers and beyond its statutory mandate. 8. Accordingly, for the above reasons, this appeal has to succeed. The order of the ITAT is hereby set aside, and the denial of exemption under Section 12A by the DIT (Exemptions) is restored. There shall be no order as to costs. This entry was posted in Sec. 12A, Section 11, Section 13 and tagged 363 ITR, application for registration u/s. 12A, Delhi High Court, In favour of Revenue. Bombay H.C : Whether the Indian AE is simply a distributor or is a holding a manufacturing licence from its foreign AE ?